iMazing's Transfer to another Device wizard is a great way to move data from one device to another. All you have to do is connect your old and new iPhone or iPad to your PC or Mac, and follow iMazing's instructions. It's really that simple! Start fresh on a new device, but keep your contacts and messages. Transfer apps only to a family iPod Touch or iPad that your kids will use. Simultaneously copy data to multiple iPads you manage for a class you teach. Launch iMazing and connect both of your devices. In the left sidebar, select the device with the data you want to transfer. In the Actions Panel, select Transfer to another Device. This will open the Transfer Wizard. Choose the target device by clicking the checkbox next to it, and then select Next. You'll now have the opportunity to customize the transfer process. You can click on either Customize buttons to select what data or apps to transfer, and choose a name for the target device. iMazing will start the transfer process, first backing up the source device, then restoring that backup to the target. The target device will then restart.  Tip: Once the transfer has started, you can safely click Close Window to minimize the wizard and return to iMazing's interface. The transfer options allow you to customize what data and apps you want to transfer.  Tip: If you are transferring your device to another device which has already some data on it, we advise to check the option Erase target device(s). This will prevent potential conflicts with the Apple ID already configured on your target device.  Apps Tip: If you have downloaded some of your apps with iMazing, you'll have the option to install apps from your app library when transferring your data. This can be a life saver as you'll be sure that you don't have to wait for apps to be downloaded by iOS after the transfer completes, downloads which can take a very long time. Read more about downloading apps before transferring data. Select what datasets you want to transfer. Use the Select All checkbox to select or deselect all datasets. The following must be transferred. Choose what apps you want to transfer. Use the Select All checkbox to select or deselect all apps. Transfer to another Device requires both devices to be connected to your computer. If you want health data to be copied across, make sure that your current backup is encrypted. Transferring data from one device to another may take a while. To check the operation's status, click on the Operations button in the upper toolbar (see step 9). Transferring data to another device will not change the target device's passcode, but will copy over the backup password if backup encryption is enabled on the source device. 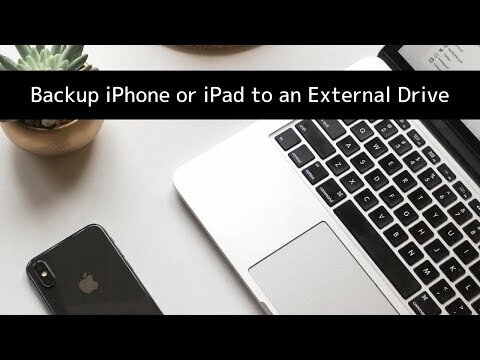 Backups do not include your iTunes Media Library (Music, Books, iTunes U, Podcasts, Ringtones and Movies synced or purchased on iTunes), so that data will not be transferred and should be synced separately if needed. These data is usually already synced via iTunes, Apple Music or iCloud Music Library. Have a look to our Music section to transfer these data to your computer.